Panasonic, Sony and Samsung join forces to develop universal active-shutter 3D glasses | What Hi-Fi? At last! Panasonic, Sony and Samsung have agreed to co-develop a new single standard for consumer 3D active-shutter glasses. Until now, each manufacturer has developed its own 3D glasses, so a pair from Panasonic, say, wouldn't work with a Sony 3D TV. However, common sense finally seems to have prevailed and Panasonic, Sony and Samsung will work with XPAND 3D on the development and licensing of Bluetooth-enabled radio frequency (RF) active 3D glasses. Under the snappily-named 'Full HD 3D glasses initiative', the companies will work on RF system protocols between consumer 3D glasses and 3D displays such as TVs, PCs, projectors and 3D cinemas using XPAND active-shutter glasses. Development of the single standard 3D glasses is due to begin in September, with sales expected to start in 2012. 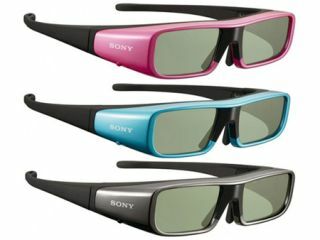 The aim is the make the universal 3D glasses backwards-compatible with 2011 active-shutter 3D TV sets. The standardisation process will also include multiple types of IR system protocols between 3D active-shutter glasses and 3D displays, ranging from the protocols jointly developed by Panasonic and XPAND, to the proprietary protocols of Samsung and Sony. "Through this alliance, we all look forward to addressing critical industry issues to enable a better consumer experience across products," says Jun Yonemitsu, deputy senior general manager, Home Entertainment Development, Sony. Or rather, given that sales of 3D TVs have been less than spectacular, maybe those involved have realised the necessity of removing one of the big barriers to 3D ownership.